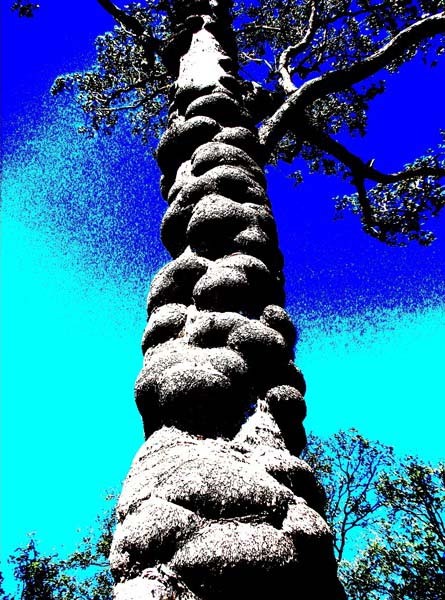 This tree stands steadfast along my inland travelling track, near the town of Mundubbera (Mun-dub-bur-ra) on the land of the Wakka Wakka people.i (See image 1). It is in the region called North Burnett. I am a Murri woman who regularly travels the inland route – from the land of the Darumbal people in Central Queenslandii where I currently live, to the lands of the Jagera, Turrbal and Ugarapul peoples of South-East Queensland.iii I travel for family, work and special events, and when I feel the pull of Maiwah (the Brisbane River)iv calling my spirit to come home. Sometimes I travel the route alone; sometimes my partner and others are with me. When we travel, we follow the river systems and look out for distinct markers in the landscape. We acknowledge the lands of others as we move down to Booburrgan Ngmmunge (the language term used by many Aboriginal people to describe the Bunya Mountains)v and beyond. I look for this tree on every journey, and I know exactly where to stop the car. The tree is slightly off the road but close enough for me to walk to through a little bit of bush. I ensure that I am mindful of snakes, lizards and other creatures in the grasses that surround and protect the roots. I gently move away the branches of small bushes that hide the little birds that call out and announce my arrival. When I arrive, I speak aloud, announcing to the ancestors of place who I am and what business I have to be walking on their land. I won’t reveal the tree’s exact location, although I am not so arrogant as to think that others don’t know where it is. But it’s a precious tree, and people often like to cut off burls – both for their personal use and to sell them. 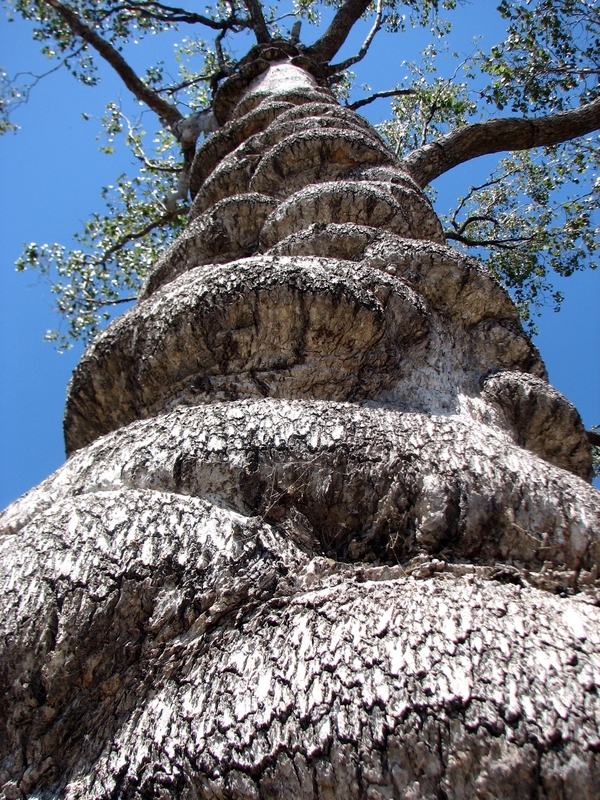 Burls are sold in Australia and to overseas markets. People cut into them, then grind, plane, oil and polish them into bowls and ornaments for coffee tables and pieces of furniture. The people who do this see the beauty in what lies under the bark. But I see the beauty of this tree as it is; burls and all. I have photographed this tree numerous times and I will again. 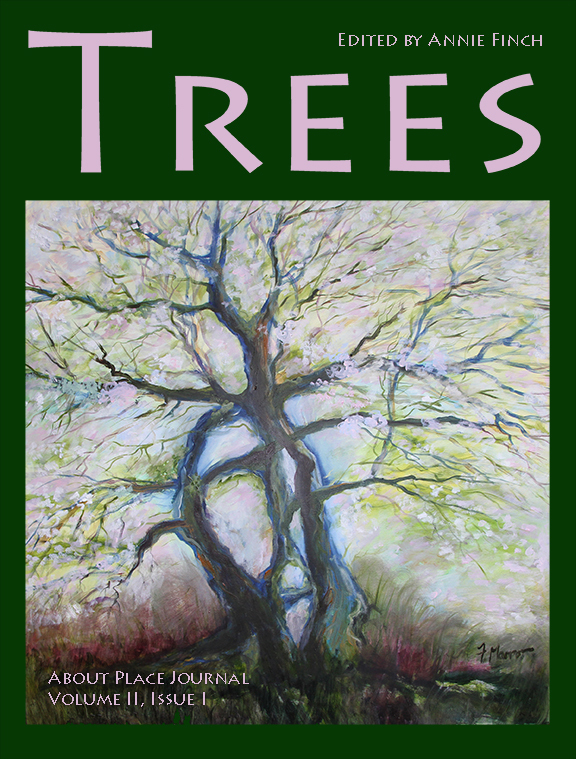 I play with the images I capture in an attempt to show the tree through a range of perspectives. The second photograph is an example of this. (See image 2). Through the photographs, I am reminded of place, people and identity, and the many connections to the past, the present and the future. They always were and they always will be. Bronwyn Fredericks has published in community and academic journals including SIGNS: Journal of Women in Culture and Society; Outskirts: feminisms along the edge 23, Cultural Studies Review, AlterNATIVE, the Journal of Australian Indigenous Issues and others. She is a founding member of the Capricornia Arts Mob (CAM) which is a collective of Indigenous Australian artists, photographers, sculptors, mixed media artists, writers and poets based in Central Queensland, Australia. Bronwyn is a Professor and the Pro Vice-Chancellor (Indigenous Engagement) at CQUniversity Australia. v Maxwell Consulting. (2010). Boyne Bu’ru Booburrgan Ngmmunge Bunya Mountains Aboriginal Aspirations and Caring or Country Plan. Bunya Mountains Elders Council and Burnett Mary Regional Group: Burnett Mary Regional Group.